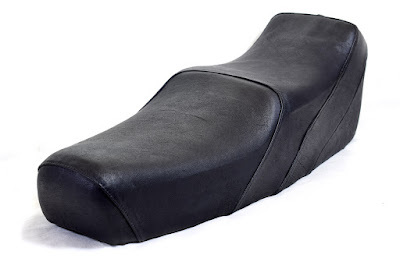 This is a saddle seat for a 1978 Piaggio Vespa Primavera 125. The original cover of this saddle (the exact model is Giuliani Yankee) was made in white leatherette, but my friend Luca wanted a black leather one, more suitable for his gunmetal Vespa. 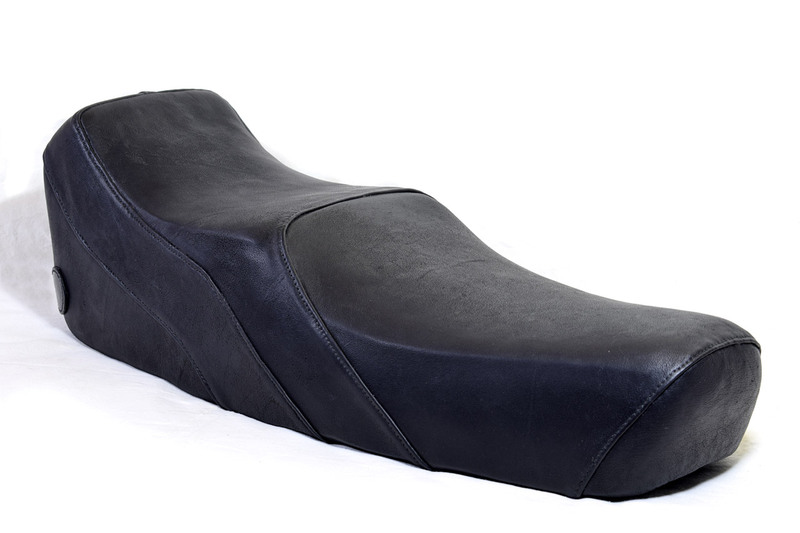 After removing the original saddle cover from its frame I unstitched the parts that composed it and made cardboard models out of them. Then, I used the models to cut the new parts from sturdy black bovine leather 1.6 mm thick and started assembling them together. 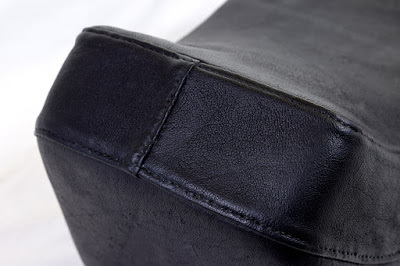 Everything have been hand stitched with black linen thread, and every stitching line is in fact two parallel lines: one "inside", made on the flesh side of leather, and one outside, 4 mm away from the first line, to reinforce it and to keep in the correct place the leather abundances below. 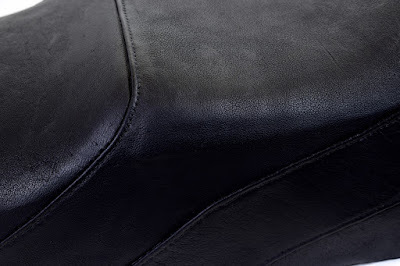 The seat part has been lined with closed cell neoprene, to keep as much as possible the rain away from the foam rubber below. I will post more pictures of the making process in the next weeks.